Computer scientists and their creations are everywhere. They drive everything from search engines to daily weather reports, animation, cybersecurity and scientific discoveries, pushing developments that use and transform information. 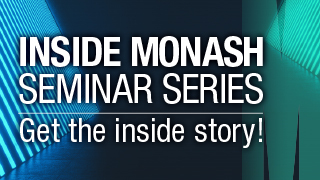 If you are looking for an exciting career, then Computer Science at Monash, in Australia's leading IT Faculty, is the start of your journey. You will learn to think creatively and analytically, from some of the world's best academics in the field. You will graduate with the skills to design algorithms (instructions for computers) and data structures (information storage), creating software that solves real-world problems. Build expertise through a specialisation in either Advanced Computer Science, or in the exciting new field of Data Science, exploiting the massive datasets of the Information Age. 'Learn by doing,' using cutting-edge technology in a rich collaborative environment. Gain a deep understanding of the theory of computation, its mathematical foundations and its practical applications. Learn how to apply this knowledge in many fields, creatively, efficiently and ethically. 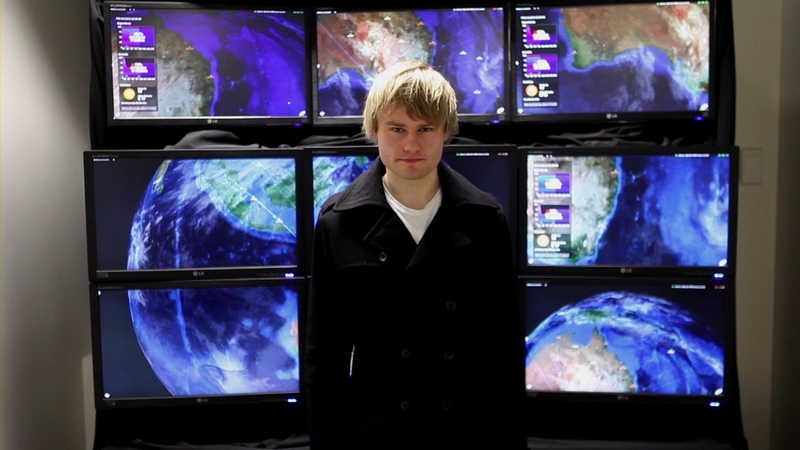 Graduate with a degree accredited by the Australian Computer Society. Extend your expertise - do additional computer science/data science. IT electives - a huge range from cybersecurity to web, mobile or games development. 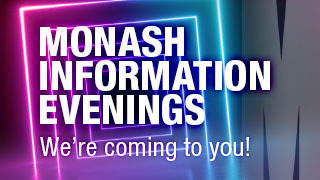 Monash-wide electives - complement your computing savvy with anything from maths to music. Double degree - gain an extra qualification in Commerce, Education or Science. Go further - high-achieving students can add an Honours research year, or a 1.5-year IT Masters. Your studies will culminate in a substantial year-long project, giving you the practical experience to enter the workplace ahead of the game. Alternatively, you can apply for the highly regarded Industry Based Learning (IBL) program to do a half-year placement with leading Australian and global organisations. These count towards your course and are supported by generous scholarships. Monash's professionally accredited Bachelor of Computer Science prepares you for a rewarding career solving challenging technical, scientific and creative problems. "I was fortunate to work part-time as a Help Desk officer in the IT department at Monash University while I studied full-time. This hands-on experience, together with my third year project work, taught me valuable skills about teaming to get the job done. What I find very exciting is seeing how much IT is used in every industry sector from airlines to retail." "I'm a software developer at Constraint Technologies. My favourite thing about working in IT is the coding, the software development and getting into all the latest technology. 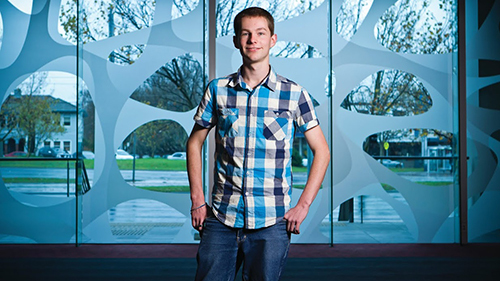 A Monash degree in Computer Science is the reason I am where I am today." To be considered, applicants who are applying with a diploma, in any field of study, will require a minimum average result of at least 60%. Preference will be given to students whose prior studies are related to the course in which they are seeking admission. Programs that involve competency-based assessment without grades or marks will not meet the admission requirements. IT related diplomas may receive up to a maximum of 48 points of first year level credit. Preference will be given to students whose prior studies are related to the course in which they are seeking admission. To be considered, applicants will normally require at least 70% average. Programs that involve competency-based assessment without grades or marks will not meet the admission requirements. For applicants who do not have any formal qualifications, two single approved information technology-related units at an Australian higher education institution may satisfy entry requirements, but more units will be useful for selection. Applicants should have at least 60% average in their studies. Studies must have been completed within 2 years of intended commencement of the course. Applicants who already meet minimum entry requirements of the course with their previous Year 12 (or equivalent) qualification require at least two completed university units to to be considered for admission. Applicants who do not meet minimum entry requirements of the course with their previous Year 12 (or equivalent) qualification usually must have completed at least one academic year with at least a 60% average. Applicants without the prerequisite Year 12-level mathematics must have undertaken at least one mathematics unit (at least equivalent to Year 12 higher level maths) in their current degree, or as a single unit in addition to their degree. The course develops through the themes of Computer science foundation study, professional skills study, specialist discipline knowledge, problem solving and analytic skills study, and professional skills study which come together in applied practice. This study develops professional skills by providing an understanding and appreciation of the ethical and professional guidelines applicable to computer science; developing the ability to work as an effective team member; developing the ability to communicate proficiently and appropriately for professional practice; and developing formal project management skills. This study will develop your in-depth knowledge of the specific computer science methods of your specialised field within computer science. This study will develop your ability to apply appropriate methodologies in computer science and develop efficient computational solutions. It develops strong problem solving skills and the ability to apply analytical thinking. For students in double degree courses, some units required for the partner degree are credited as electives towards this degree.